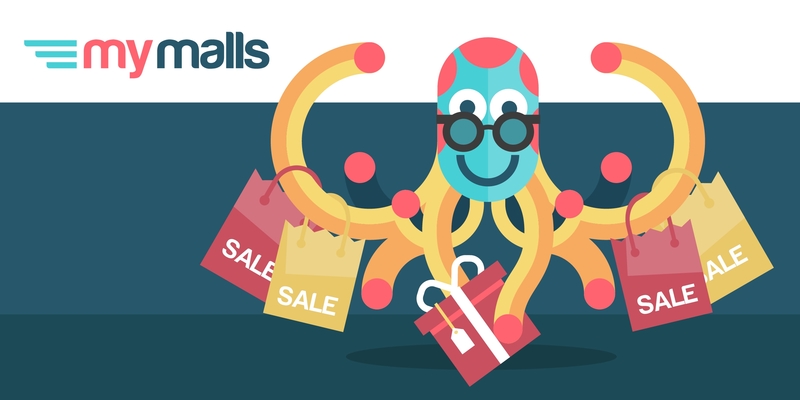 MyMalls | Get Set for Black Friday with MyMalls! Get Set for Black Friday with MyMalls! It's almost time for the premier shopping event of the year! Black Friday – which takes place on the 23rdof November – kicks off a weekend of savings, running right through until Cyber Monday on the 26th. We’re here to help you get the most out of this shopping spectacular! Plus, we have a special coupon code that gives you $5 off your Black Friday shipments! Are you ready for the savings extravaganza? Here are our five top tips for a successful Black Friday-Cyber Monday weekend! The Black Friday weekend can be quite overwhelming, with pretty much every retailer promoting special offers and time-limited deals. It’s easy to lose track of everything, so do a little homework before you dive in. Sign up to newsletters from your favourite stores, and think about what you really want to get your hands on. The easiest way to see which of your favourite products are on offer is to use wishlists. Most online retailers have this facility for account holders, so sign up to take advantage of this handy tool. Then, add the products you’d love to see on offer to a new list. When the big day arrives, you’ll be able to quickly assess which deals apply to the items you want! It can be tempting to choose the first great offer that you see, but it’s a good idea to compare prices across retailers. You don’t want to find out later that you could have saved even more money! So, get comfortable, grab a snack, and invest a little time in checking for the best deals. You might find yourself caught up in the excitement of Black Friday and Cyber Monday, purchasing items that you don’t actually need, or even really want. We’ve been there! While it’s best to take advantage of good deals as soon as you can, it’s also worth stepping back and figuring out if there’s anything in your basket that you’re not so enthusiastic about. Don’t feel forced into buying something just because it has a heavy discount. Many retailers will offer additional perks on top of their product discounts. When deciding which retailers to buy from, take into account the extra savings you’ll make with bulk discounts and delivery offers. This can save you heaps of money! While we’re on the subject, we are proud to offer our customers an exclusive discount to celebrate Black Friday! Enjoy $5 off your MyMalls shipments using the code TGIBF18, between the 26thand 30thof November. TGIBF, you say? Why, of course – Thank God It’s Black Friday! We hope you grab some amazing savings this Black Friday weekend. Don’t forget, TGIBF18! Happy shopping from the MyMalls team!